Wealthtech innovator Envestnet will bolster its existing advisor offerings with the purchase of PIEtech, a deal expected to close mid-2019, reports Julie Muhn at Finovate. This would be the tenth acquisition for the Chicago-based company. 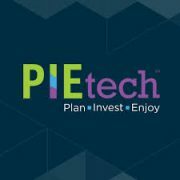 PIEtech is the parent company of MoneyGuide, a suite of goals-based financial planning applications for advisors. Envestnet will continue to build on MoneyGuide’s offerings, including MoneyGuideOne, MoneyGuidePro and MoneyGuideElite. These solutions are integrated with more than 150 wealth management providers. Envestnet will leverage the acquisition to complement its Logix and Apprise features to provide advisors and their clients with access to financial planning capabilities. The deal will also enable Envestnet to offer additional domestic and international financial wellness solutions and will boost cross-selling opportunities. Late last year, Envestnet | Yodlee entered into a strategic partnership with Blackrock in which Envestnet integrated BlackRock’s Digital Wealth technologies into its platform. Envestnet was founded in 1999 and acquired Yodlee in 2015 for $660 million. Envestnet | Yodlee has a market capitalisation of $3 billion. Implementation will be carried out by Backbase and one of its partners, Lisbon-based Bring Global.